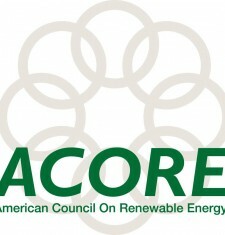 ACORE, a 501(c)(3) non-profit membership organization, is dedicated to building a secure and prosperous America with clean, renewable energy. ACORE provides a common educational platform for a wide range of interests in the renewable energy community, focusing on technology, finance, policy and market development. We convene thought leadership forums and create energy industry partnerships to communicate the economic, security and environmental benefits of renewable energy.